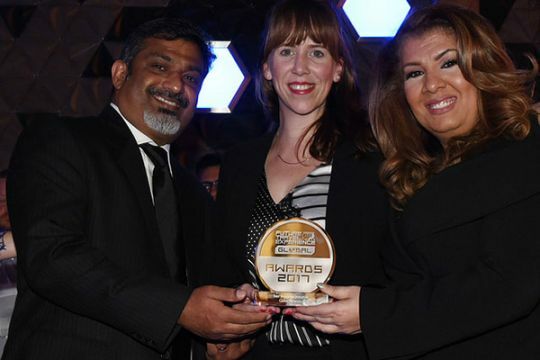 KATHMANDU, Sep 12: World’s most admired and vibrant aviation service provider “Qatar Airways” has been conferred with 'Best Up In The Air Experience' award for the third consecutive year and 'Best Baggage Initiative' award at the Future Travel Experience Global 2017 award ceremony. According to a statement issued on Monday by the Qatar Airways, the award ceremony was held last week in Las Vegas. As the statement stated, Akbar Al Baker, Chief Executive of Qatar Airway Group, expressed his gratitude for receiving the awards. He said, “We are delighted to have received the 'Best Up In The Air Experience' award for the third consecutive year and 'Best Baggage Initiative' award. We are motivated after receiving these awards from an organization that shares our commitment to delivering nothing short of the best.” The 'Best Up In The Air Experience' award evaluates the airline's business class seat, Qsuite, which has revolutionized the onboard business class experience. Likewise, the 'Best Baggage Imitative' award has been provided for its baggage management system, added the statement.